Camping in luxury in a luxurious 6-person safari tent with bathroom? 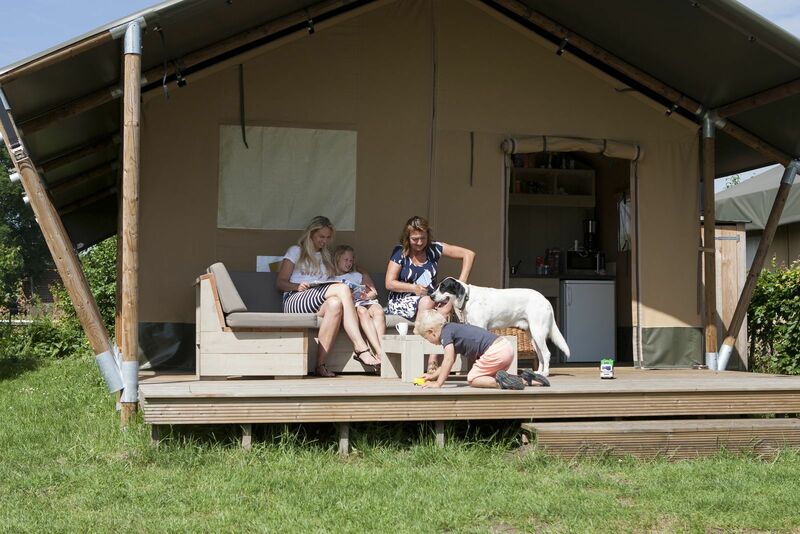 Choose glamping in Recreation park De Boshoek!Child-friendly and with all facilities. A stay in the 6-person safari tent is a beautiful experience you shouldn't miss. 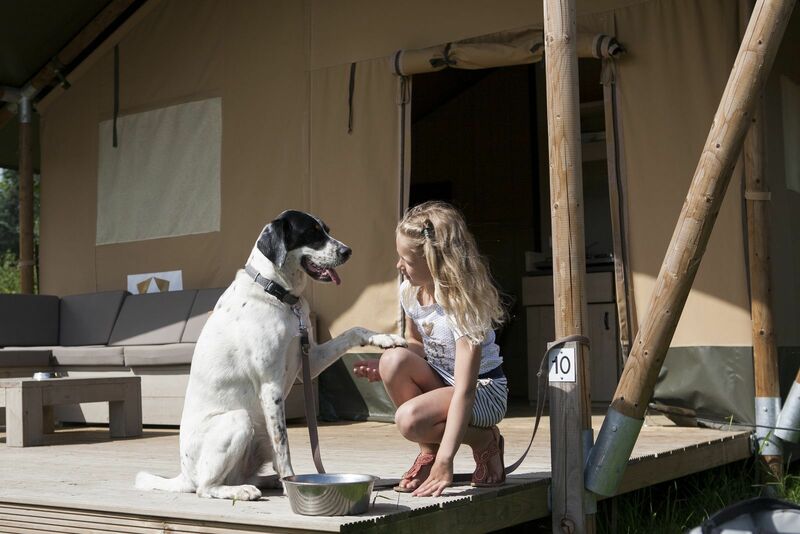 Camping in luxury with a dose of comfort will light up your stay in the Veluwe. 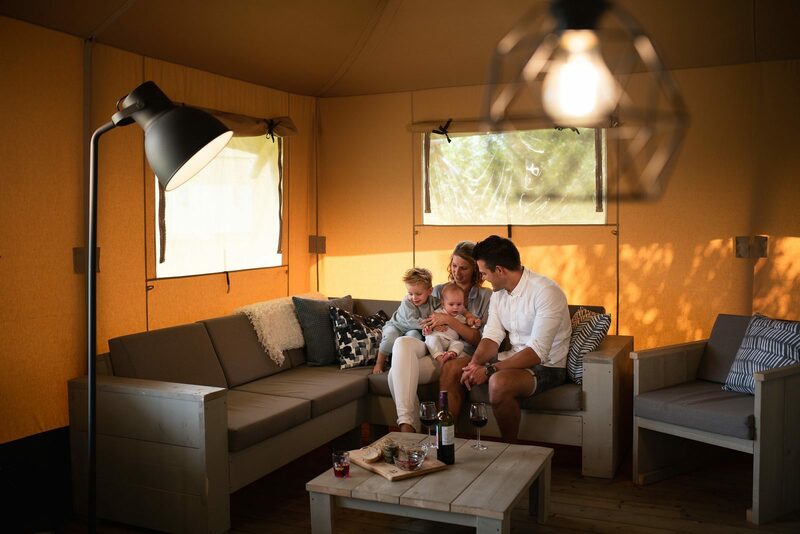 Can you imagine yourself already, relaxing under your awning, while the neighbours are busy setting up or dismantling the tent? 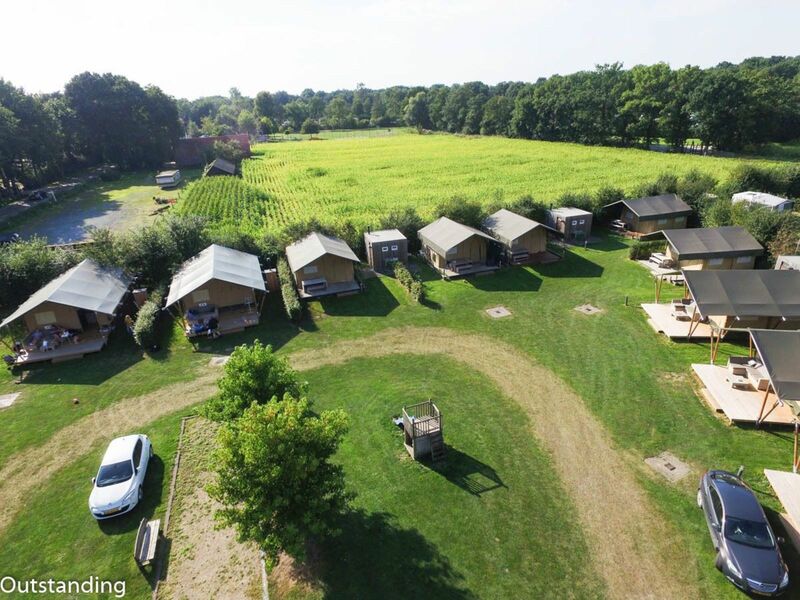 The feeling of camping, combined with the luxury and the easy of a bungalow, that's what a real glamping holiday will offer you. Our luxurious tents have seats both inside and outside on the veranda. 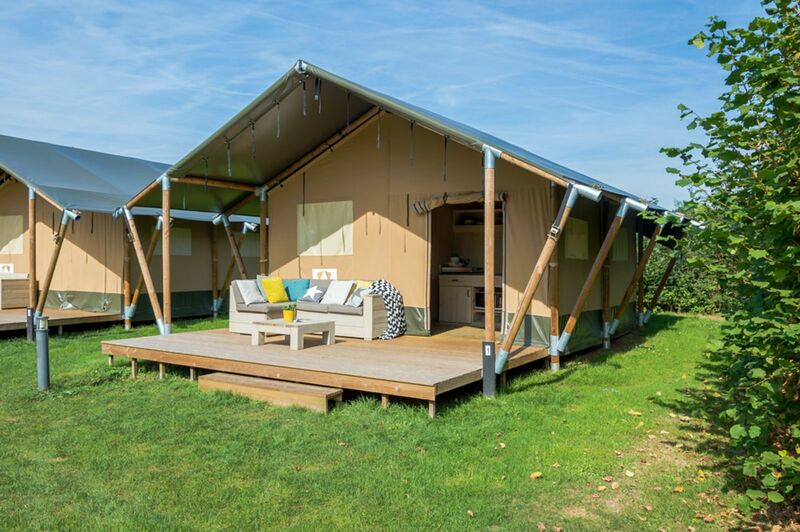 Luxury camping in a 6-person safari tent in the Veluwe, with bathroom! During beautiful weather you can enjoy under the canopy, during less sunny days you can use the stove, providing a pleasant feeling. 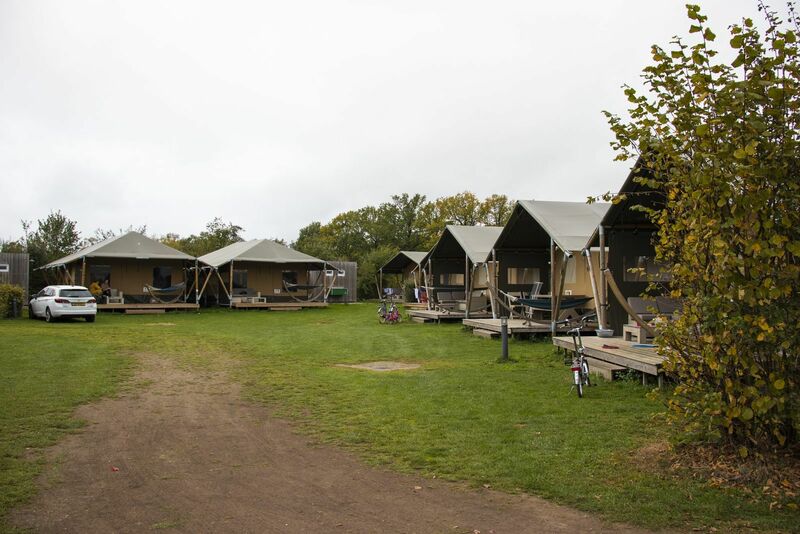 These are sturdy, spacious tents, situated in a beautiful camping part of the park. 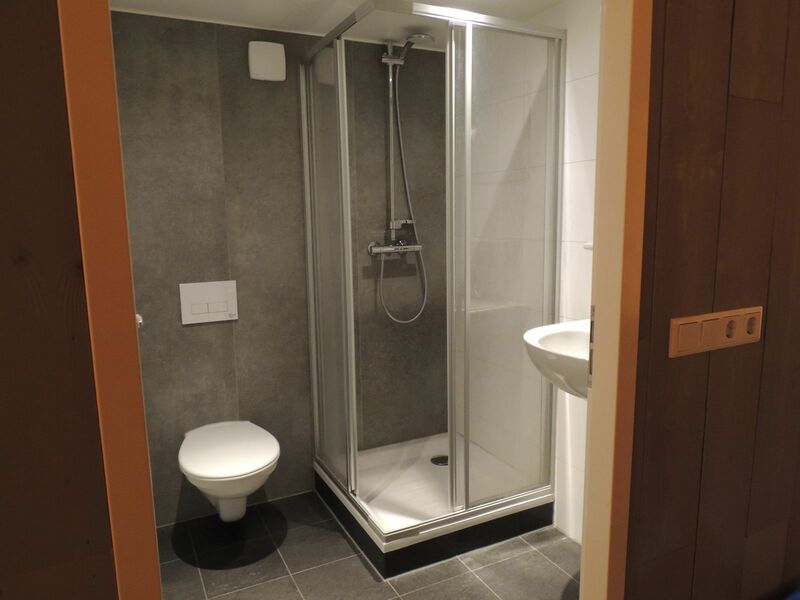 And luxury camping at De Boshoek in the Veluwe wouldn't work without a private bathroom in the tent. We've got it all for you! 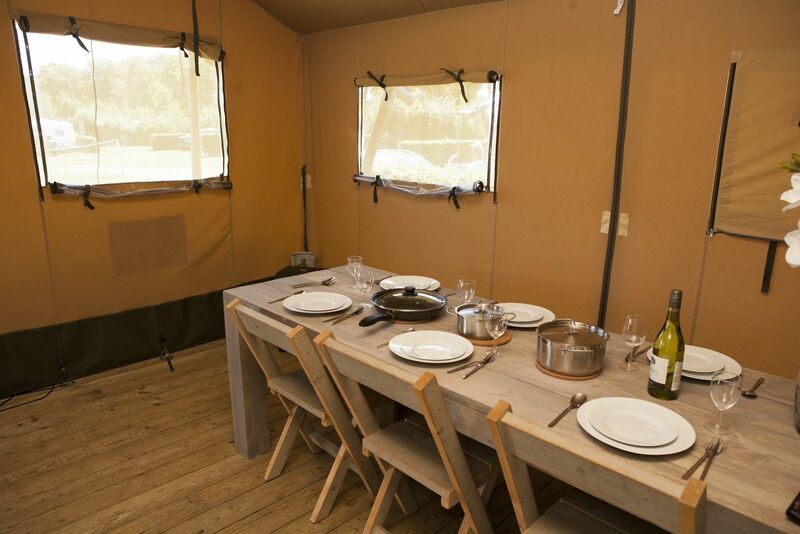 A comfortable and sturdy 6-person safari tent with complete inventory and private sanitary facilities. With a stove for colder nights. If you're staying in a safari tent, you'll combine the luxury of a bungalow with the real camping feeling. The beautiful bathroom is a luxurious addition to the safari tent. 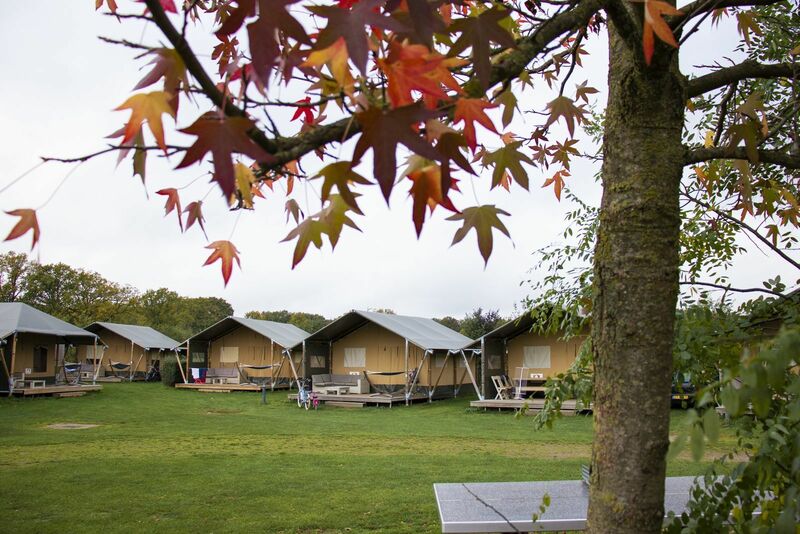 You can stay in our safari tents during the camping season, from March to October. 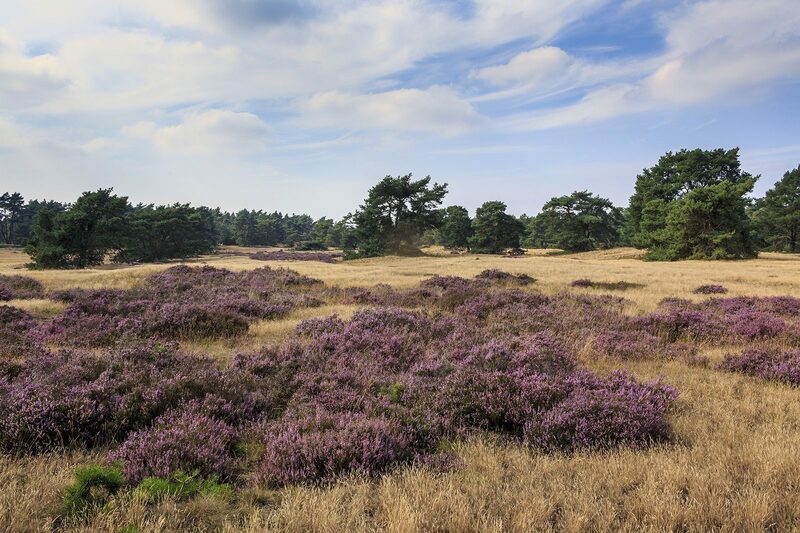 August 2018 - Marjo d.
Onze kinderen hebben zich weer prima vermaakt op de Boshoek! Vol enthousiasme gingen zij mee met de animatie-taxi om vervolgens te gaan dansen en knutselen. Ook hebben we samen vaak verkoeling gezocht in de verschillende zwembaden, i.v.m. de temperatuur. Uiteraard hebben de kids ook gebruik gemaakt van de grote speeltuin en zelfs nog een pony versierd. 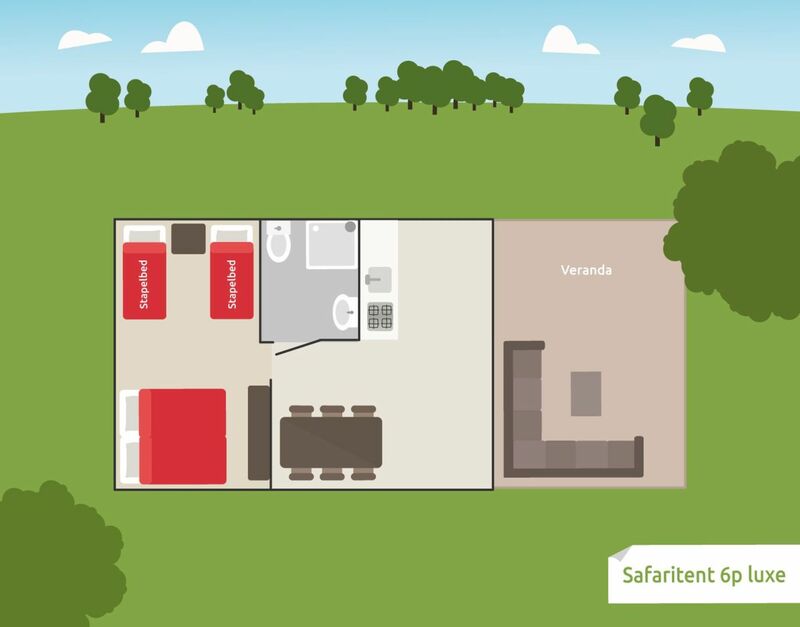 Een heerlijke camping voor gezinnen door de vele fasiliteiten en activiteiten die de Boshoek aanbiedt. Bedankt! August 2018 - Y C.